A campfire can quickly become an out of control wildfire if there’s not a cleared area between the campfire and nearby dry vegetation. Firewise Tip: Turkey hunters are reminded to be extra cautious with anything that can start a wildfire when you’re outdoors. Be especially mindful of the weather. 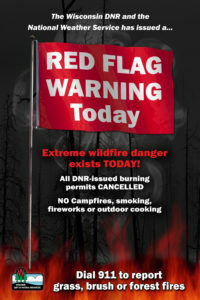 A warming or cooking fire on a windy day can quickly become an out of control wildfire. It’s no surprise that the number one cause of wildfires in Wisconsin is from human carelessness. What is surprising is that the peak of fire season is in the spring, shortly after the snow-cover disappears and just before vegetation greens-up. 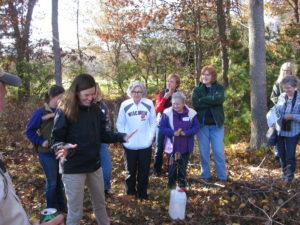 Many individuals this time of year are outdoors burning leaves, brush and pine needles from their annual yard clean-up. All too often, this method of debris disposal can spark a wildfire. 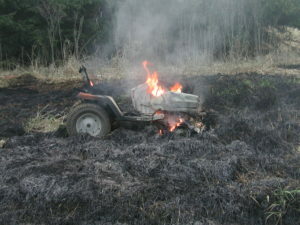 This lawn mower caused a wildfire while operating on dry vegetation during elevated fire conditions. Proper maintenance could have prevented this fire. The reality is, there are numerous other ways a wildfire can occur, such as campfires, fireworks and ashes from woodstoves. A close second behind debris burning is equipment. 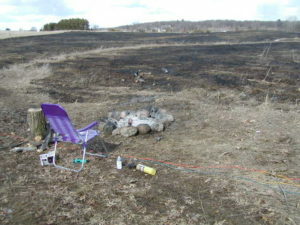 Nearly 20% of all wildfires in Wisconsin are caused by activities such as logging and farm operations, hot exhaust systems from vehicles, recreational vehicles, such as ATV’s or motorcycles, operating without spark arresters or even simple things like dragging chains from trailers. Recently, I came across a beautiful, full evergreen. After a while, I realized I had planted this gorgeous monument when I was five years old, as part of a community project and Arbor Day celebration. How are communities handling EAB across Wisconsin? The Wisconsin Department of Agriculture, Trade, and Consumer Protection (DATCP) has recently issued a statewide quarantine for emerald ash borer (EAB), regulating the pest in Wisconsin. 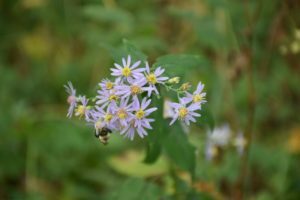 Since the menace has already affected 48 of Wisconsin’s 72 counties, many municipalities have been acting on EAB management plans they set into place, including the City of Racine and Ozaukee county have been managing the pest. Communities across the state are reaching out to their citizens and encouraging them to plant trees in their own yards, greening the community with both yard and street trees. 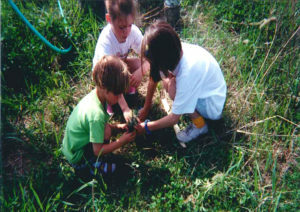 The Village of Bayside and the Village of Greenfield are accomplishing this through “Adopt-A-Tree” programs and species lists.